Novice and students of forex trading often overlook the obvious: many before them have made fatal mistakes. Making the same wrong decisions all over again just does not make sense. What a serious forex trader should do is to learn from them and up their game. While stops are certainly essential in forex trading, the wrong timing can topple your whole strategy. Sure, you might be thinking of putting a cork in your money leak, but the key to doing that is the right timing: the trade should still be leaning in your favor. Proper money management should be at play here. Risk should be at the minimum before placing a trade. Calculate and research your options. Okay, you might be thinking of instant profit if you use a 300:1 leverage on a trade. However, are you sure profit will come in? A lot of people think of leverages as free poker chips where in fact, the risks are higher. It is all about making sure you have a good solid hand. Even then, experienced traders are always careful only risk 2-3% of their investment balance on a trade. Asses your risks and gains, do not be dazzled with the money and the excitement. It is as if you are just a sheep following a trend. Signals and indicators are just that: assistants and cues that help you make a decision. Remember that your strategy and assets are unique to you, so technical indicators do not always apply to you. You still need to work. There is no magical formula or machine that can do the work for you. Some people might think that day trading holds no or fewer risks, which may be true to some. However, there is a reason why long term trading still holds: it gives you more time to wait out a position that will be in your favor, yielding more profits. Day trading can work, but only to a select few. There are dozens of so-called powerful platforms and software that tells you can beat the system and reap huge profits. Some of them can help but a lot of them are duds. The main thing to remember is that there is no sole software out there that is foolproof. It’s okay to get indicators and advice from a few, but it all rests in your acumen. Before putting your money where your program’s mouth is, you better test it thoroughly. The same thing goes for systems and strategy on paper. Even if you have back tested it, would the conditions you have used to test that be the same conditions that will happen in the near future? Forex trading requires objectivity, cool thinking and the ability to make sound decisions. Be too afraid to risk, and you will not profit at all. Be too reckless and you will lose your shirt in no time. 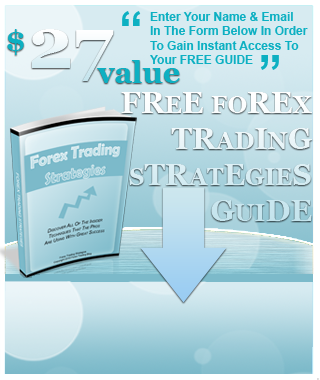 Here is a smart thing to do: read up on forex trading psychology. Watch yourself and do not work obsessively. Have a life. There is a reason why forex trading is so popular yet only a select few have built their careers over it. A lot of beginners have failed, but where they have fallen, you should pick up and do better.